Better energy and thermal balance inside the furnace to the multi unit injection. 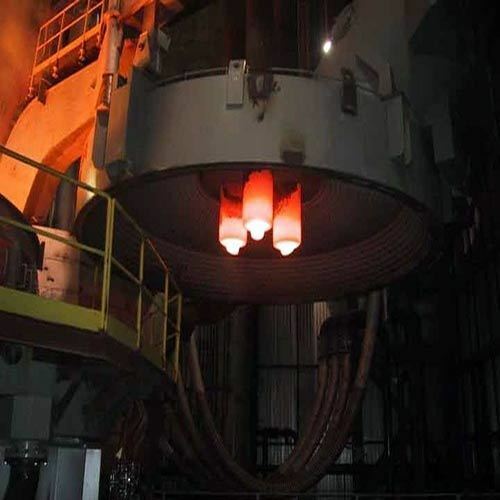 High yield of alloy additives and high ladle refractory life. More heat input in cold EBT area due to special design of EBT burner system. Heavy construction design to sustain hard working conditions, allowing very fast movements and safe operations. 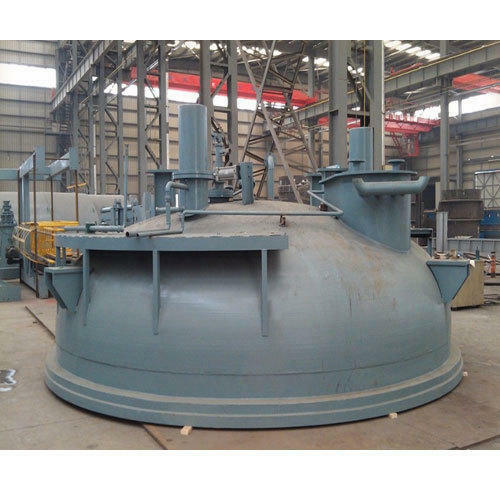 We also offer to our customers Split Shell For Electric Arc Furnace which finds its application mostly in the steel industries and is used for various capacities of furnaces. 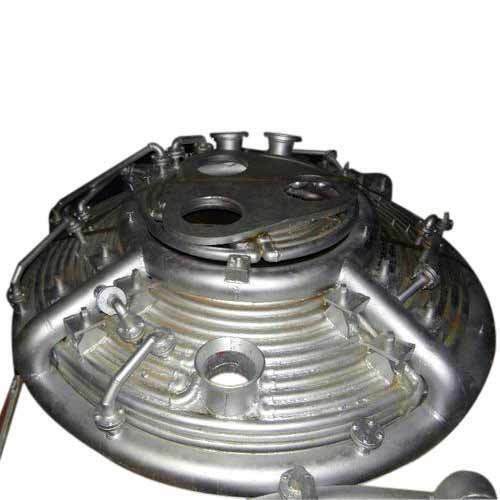 We procure our raw materials from the most reliable vendors which enables us to provide our customers with best quality of Split Shell for Electric Arc Furnace. These products can be availed from us at very nominal prices. The manipulator is designed to automatically measure temperature, carbon/oxygen contents and take samples for steel chemical analysis without having to power-off the furnace. By removing the operator from the furnace door, it provides maximum safety during melting process. The equipment is installed on the fix platform either on the right or left side of the furnace slag door. 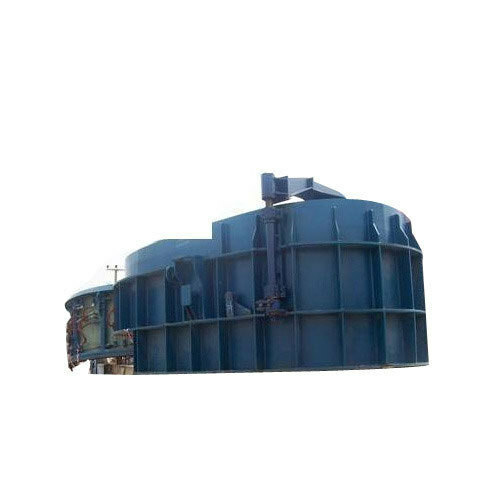 The supporting & revolving turret is installed on the rigid platform on the side of the furnace slag door it is equipped with an electric drive, an upper rotating turret and a junction box for the electrical connections. The rotation on the horizontal plane moves the horizontal arm to loading position and to work position where the lance enters in molten steel to take a measure or a sample of it. 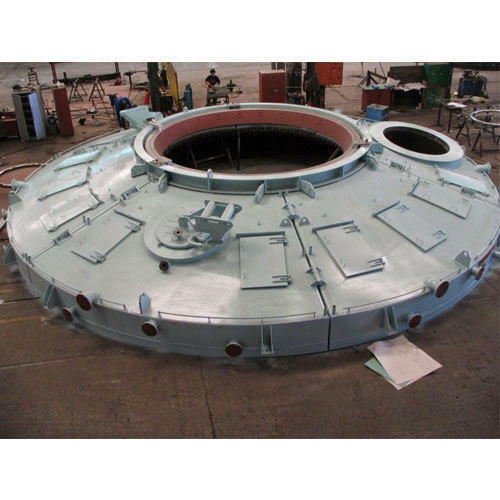 The mechanism used to electrically drive the probe inside and outside the steel bath is installed on the front end. The probe carrier is water cooled. The cooled probe carrier supports at its front end the receptacle holder assembly with the contact block necessary to take measures. To water cool the probe carrier front-end tip about 2 m3/h (8,8 gpm) of water at about 4 bar (56 psi) of incoming pressure is necessary. The automation cabinet, complete of PLC and motor drivers, for fully automated operations of the CATFIS manipulator. The electrical local control box, containing the necessary hard commands to operate the manipulator. The foamed slag that transfers and distributes the chemical energy generated over the entire liquid steel surface. The capacity of the carbon injection system shall be able to sustain with the flow rates and quantities requirements of one carbon lance during at least an entire heat. Consequently we propose the supply of dispensers with 1500 liters capacity. The powder fines could be stored into storage silos. The dispenser should be installed as close as possible to the EAF, in the event that is not feasible, and it is necessary to move away from the furnace area, the maximum linear distance should not exceed 80 meters. 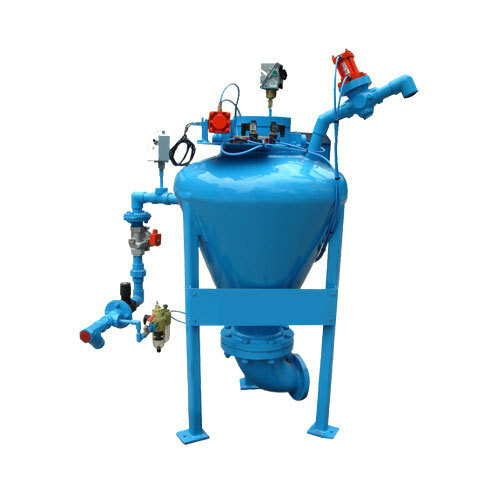 The process of filling the powder fines is automatically controlled by pneumatic on /off fail safe valves and level limit switch.The fines enter to the conveying pipeline, from the dispenser lower exits and transfer the mixture of fines and compressed air to the carbon lance. 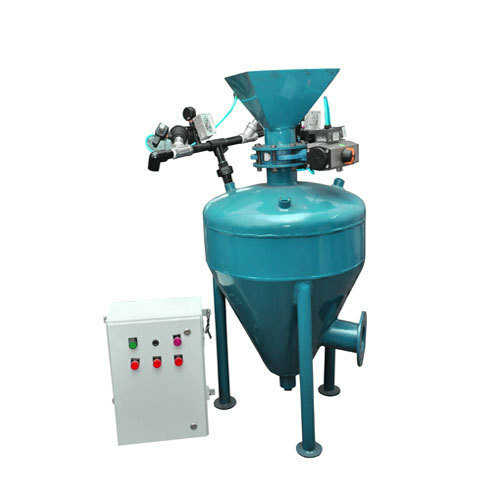 Our injection system runs trouble free operation with good quality and proper sizing of the powder fines. The equipments shall be equipped with Moisture removing system of the fine to remove the moist from the air that cause problem in maintenance with solenoids and valves and clogging of injection lines. We will supply the piping basic engineering and the components to be installed in the fines transportation line from the dispenser to the injectors. Self support steel frame for the Injector. Skid cabinet for compressed air. Complete Electrical cabinet fixed on dispenser Steel frame for ease of operation. Ceramic valve rating 4-20 mA for precise flow of fines. Air regulating valve rating 4-20 mA for easy air transportation. VORTEX meter is equipped for optimized consumption of air. Fast fines flow rate stabilization. The connections between the dispenser and pneumatic skid are made by flexible hose lines. Equipped with moisture removing system to avoid clogging of valve. The process of filling the powder fines is automatically controlled by pneumatic on / off fail safe valves and level limit switch. 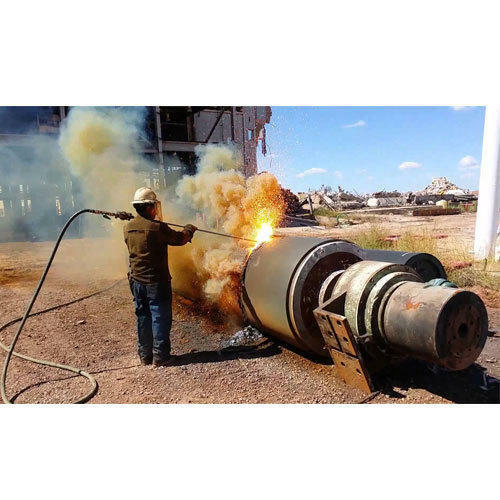 The fines enter to the conveying pipeline, from the dispenser lower exits and transfer the mixture of fines and compressed air to the carbon lance. 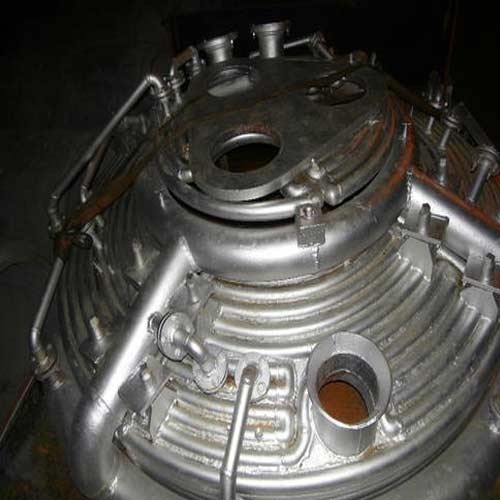 REMSO offers a carbon injection system that has been designed to meet the demanding requirements of the EAF process for the improvement of metallurgical process. The system uses closed loop control with real-time carbon flow rate feedback to provide the exact carbon flowrate that is requested at any time. 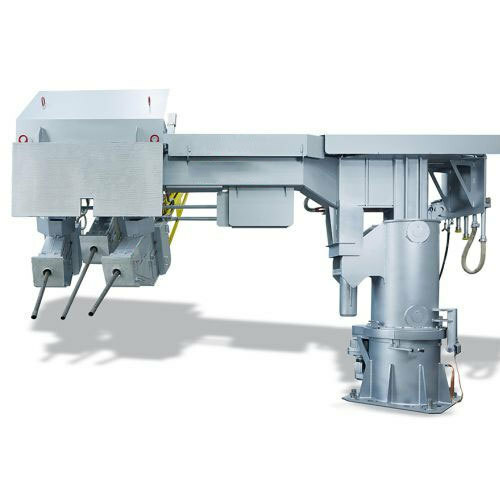 The use of dispenser, with precise flow-rate control for each injector, allows an efficient injection of carbon fines generates chemical energy by the combustion of C to CO in the liquid bath, and retain it in the slag/steel. The process of filling the powder fines is automatically controlled by pneumatic on / off fail safe valves and level limit switch.The fines enter to the conveying pipeline, from the dispenser lower exits and transfer the mixture of fines and compressed air to the carbon lance. 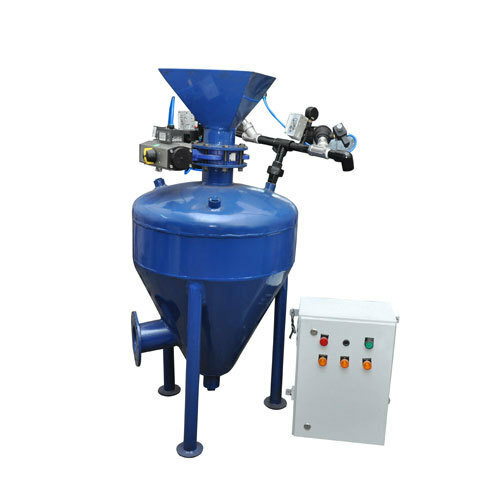 Our Carbon Injector Systems runs trouble free operation with good quality and proper sizing of the powder fines. The equipments shall be equipped with Moisture removing system of the fine to remove the moist from the air that cause problem in maintenance with solenoids and valves and clogging of injection lines. 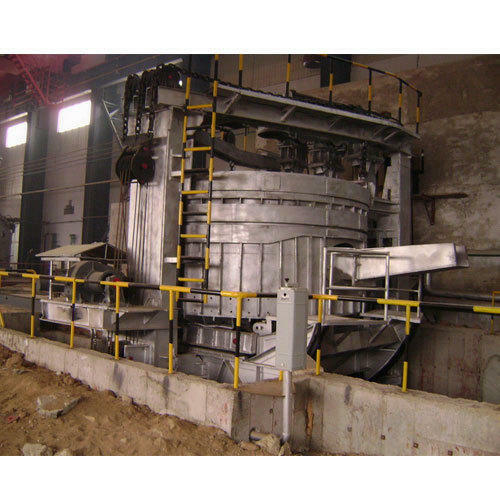 The manipulator for carbon and oxygen consumable lances, placed at the side of the EAF, allows the lances operations, bringing the lances ends under and over the slag or in any points that the operator considers suitable for scrap cutting/cleaning, decarburizing, etc. The lances enter the furnace through the slag door. The lances manipulator supply includes all the structural parts, mechanical and electrical components, hydraulic and pneumatics equipment. The manipulator and the lances driving mechanism are remotely controlled from the furnace pulpit. Increase of oxygen efficiency thanks to flexible control of flow orientation. Independent movement for each lance. Fast and simple connection of the oxygen and carbon hoses to the lances. Several possible configurations starting from one single lance up to three lances (two oxygen and one carbon lances). Complete with regulation valve stand for oxygen with all required controls and certificates. Safety operation from remote control room.
. Headers for outlet/inlet along with sloping tubular panels held in position with brackets and connected to headers with flexible hoses. An ELBOW CONNECTION of tubular construction is connected from the roof to the fume extraction system. All panels & headers are seamless tubes of boiler quality ASTM 106GrB. The end caps are forged. The system is tested under 10 bar hydraulic pressure. Electric Arc Furnace roof is of tubular structure. 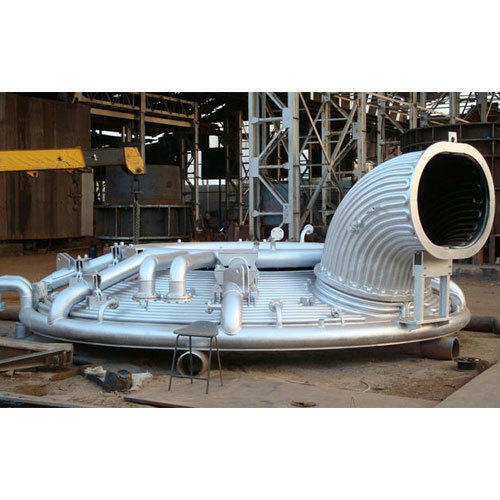 Headers for outlet/inlet along with sloping tubular panels held in position with brackets and connected to headers with flexible hoses. An elbow of tubular construction is connected from the roof to the fume extraction system. All panels & headers are seamless tubes of boiler quality ASTM 106GrB. The end caps are forged. The system is tested under 10 bar hydraulic pressure. We are offering a wide range of supreme quality of Electric Arc Furnace Water Cooled Roof to our customers. 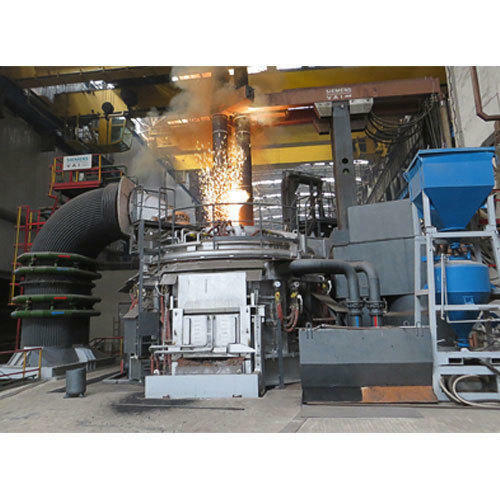 Electric Arc Furnace Water Cooled Roof is manufactured by utilizing finest quality of raw materials, processed through high-end machinery and tools under the able guidance of our skilled professionals. We have a specialized team of quality analysts who are responsible for checking all our products prior to release. 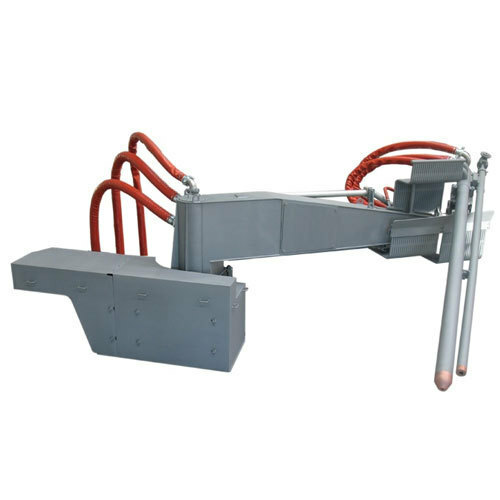 The Model GL Gantry Furnace Loader is a robust and flexible gantry robot designed for retrofitting to existing furnaces or adding to new furnaces. 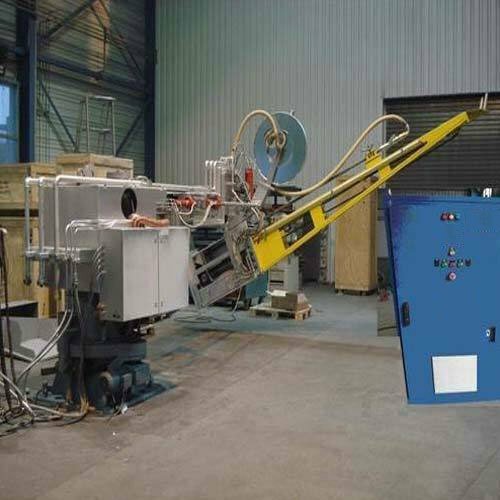 It provides an affordable solution for loading parts and sinter plates onto a furnace belt. The Model GL has the ability to stack parts, stack part(s) on sinter plate and perform bottom end deburring. The machine runs on 208V/1 Phase power and can be deployed in a matter of minutes. A color operator interface terminal is included with the control package. Simple-to-use setup screens guide the operator through the installation phase. Adding new part numbers is accomplished with fill-in-the-blank programming. The REMSO automatic temperature / oxygen and sampling manipulator on support structure, which swivel from a parking position to the measuring / working position. 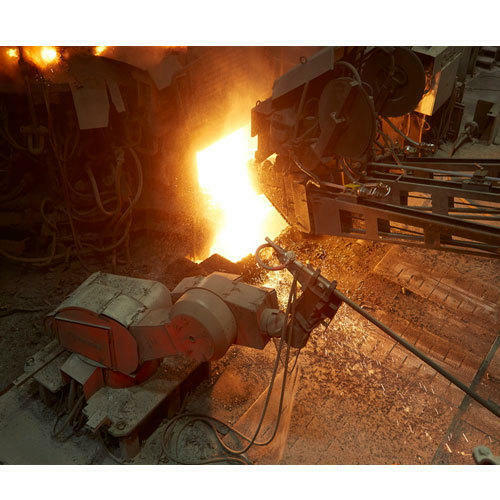 The Remso ASTM, injects automatically the measuring / sampling lances into the liquid steel bath by breaking the SLAG inside the ladle to have repetitive and reliable measurement data. Advantage: REMSO ASTM advantage is that the entire operation is Manless, from picking-up the probe from the Storage Cabinet to insert into theMagazine Lance and then to steel bath to take Sample as well as Temperature / Oxygen. 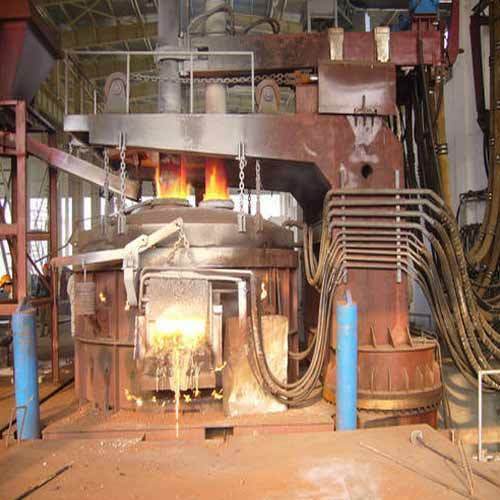 Looking for “Electric Arc Furnace”?